BJM provides a full service scale department with two full-time service reps. We service all different makes and models of scales, printers, load cells and weigh bars. 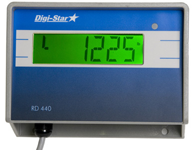 BJM carries the full line of Digi-Star scale indicators and load cells, as well as replacement parts for most major brands of scale indicators and scale equipment. 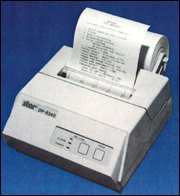 If you need any type of scale work, give us a call anytime. Mount your remote display in a convenient “line-of-sight” location on your truck mirror. “Ram Mount” technology allows for great flexibility in positioning your display. Improve driver accuracy and safety. Wireless Communication and Operation For All Indicator Functions on the Feed Mixer Cab Control™ is a wireless operation and read out system that is installed in the cab of the front-end loader. It communicates with the weighing indicator on the feed mixer and offers instant access to the weight and feed ingredients to be loaded, making the loading process more efficient, accurate and easier. 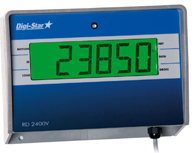 Digi-Star's Transmitter/Receiver is used to zero the indicator from a remote location, such as an End Loader. 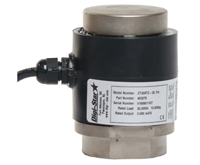 Available in capacities from 1,500 to 30,000 lbs.